So, you’ve realized that your own resume isn’t up to par, and you’re intent on making improvements or finding some help. What you might NOT know is that using professional resume samples can greatly increase your chance of success. Whether you’re polishing your own resume or finding a resume writing service to assist you, using examples of successful resumes can play a large part in the responses you receive. Given that resume quality (and results) will vary among samples, it’s best to locate several examples representative of your skill level and career goals. For example, if you’re tailoring your resume for a sales job, you’ll find that a search on sales resume sample should produce documents showing an array of skills such as as closing, negotiations, prospecting, cold calling, revenue growth, relationship management, and other related keywords. If these apply to your background, by all means add them to your own resume. Conversely, a search on CTO sample resume will show many terms for technical leadership careers, including infrastructure planning, offshore development, and project management. Consider this: resume samples in your field can show you what your competition is offering (a major point in my post on 2010 resume trends), and how well your credentials stack up in a particular industry. You may even be reminded of projects, skills, or achievements that you’ve neglected to add to your own resume. Most hiring managers welcome a bit of creativity—even the use of color here and there—as long as it doesn’t overwhelm the document and impede your brand message. The key to incorporating design elements is to start small, selecting just one or two changes to use your own resume. Depending upon your field and career path, simple graphical changes may be all that’s needed to generate more interest from employers. When searching for a resume service, you’ll find that formats, design practices, and writing styles will vary considerably. Most professional resume writers therefore post examples of their best, interview-winning work. Do you see evidence that the writing service is experienced in your field—and at your level? For example, the strategy used for most CIO candidates will differ substantially from that of an engineer. 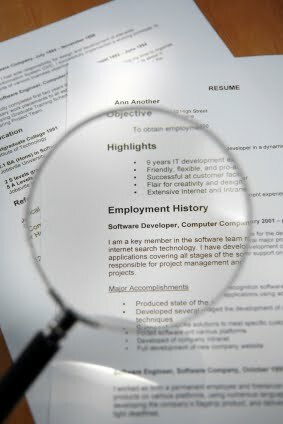 Therefore, it’s critical to find resume samples that back up the writer’s claim of specialized expertise. Even more importantly, is the job hunter’s personal brand evident from quickly skimming the resume? If you have difficulty discerning the candidate’s job goal, this can be a red flag that it’s time to move on to another resume writing service. Of course, the visual example that you gain by surfing these websites can give you a solid idea of what to expect when going through the professional resume writing process—long before you make the investment in such a service. Overall, you might find that writing your own resume is a little less daunting if you can tap into great examples of resumes that have worked for other candidates. In addition, the examples offered by professionals will give you a strong idea of what to expect, should you decide to turn to a resume writing service for expert help in your search.